When I asked Ryan Laukat at SaltCon why his latest expansion wasn’t entitled Eight-Minute Empire: Legends: Lost Lands — a fair question in my estimation, seeing as how it’s only compatible with Legends and not the original Eight-Minute Empire — he responded that when he considered it, his wife shot it down as too long. Too wordy. Fair enough. You don’t want people taking longer to say the title than it takes to play the game, after all. When people say they’re sick of Kickstarter, you know who they aren’t talking about? Ryan Laukat. 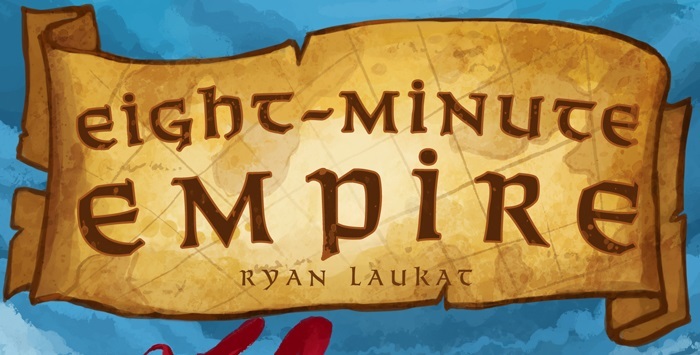 In addition to successfully funding multiple titles through Kickstarter, this time he’s shipped his latest game, Eight-Minute Empire: Legends, sequel to plain old Eight-Minute Empire from earlier this year, and done so two months ahead of schedule. A whole mess of delayed projects are suddenly seeming that much more tardy. Exciting as that is, the question I keep hearing everyone ask is whether Legends is really necessary, riding as it is on the heels of the previous game. Is it worth picking up Legends if you already have the original? The short answer is yes, but I suspect you’ll want the long answer. You can find it below. If you’re a faithful reader of Space-Biff!, you’re likely well aware of my man-crush on Ryan Laukat. Not only did I enjoy his debut title Empires of the Void a little under a year ago, but I was also lucky enough to interview him at SaltCon back in February. You could say we have a history. You might also not say that, but all relationships are subjective. Anyway, Mr. Laukat has now proven himself possibly the most efficient Kickstarter-er of all time, as he has just successfully shipped two projects, both two months ahead of their estimated release date. And while the universe didn’t implode at the news, it sure came close. We’ll be looking at City of Iron sometime in the near future, but for now let’s check out Eight-Minute Empire, Ryan’s filler-game take on the Civilization genre.